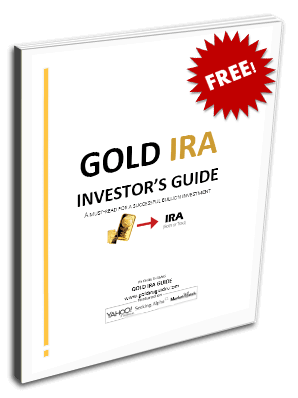 Gold IRA GuideGold Who cares about the gold standard? Who cares about the gold standard? The rate of economic and social change which occurred throughout the 1960s and subsequent decades has been rapid. Nearly all aspects of our daily lives have have been impacted by a seemingly unstoppable march of technological progress and innovation. In economic terms, the world couldn’t be more different now than it was during the 60s. Throughout the decade, the gold standard was the bedrock of the financial system, saving rates were high and unemployment was low. The gold standard ensured the value of wages were preserved by being tied to a commodity that was scarce and had enduring economic value. How did the gold standard work in the 1960s? The gold standard worked by ensuring printed dollars had a fixed and equivalent value of gold which could be redeemed upon demand. During the 1960s this value was 1/35 of an ounce – or equating 1 ounce of gold to $35. This prevented the currency being debased as the government was legally required to exchange gold for the respective amount of paper money on demand. Over time, the level of indebtedness and the temptation of resorting to fiat currencies to monetize this debt became too strong to overcome. When was the gold standard removed? The Nixon administration removed the gold standard via a televised address from the oval office on August 15th 1971 in response to the growing cost of the Vietnam War and a negative balance of payments due to the emergence of the post-war German and Japanese manufacturing sectors. It was a quick and easy way for the United States to live outside its means and so began the free floating fiat currency, and debt monetization era which exists to this day. What has happened to my income since 1971? in 1971, the nominal median yearly wage was $7805, with the gold price at $40/oz this equated to each worker being compensated with roughly 195 ounces of gold. In 2014, the nominal median yearly wage is roughly $52,000, with gold prices at $1200, this equates to annual compensation of 43 ounces of gold. What this shows is clear, income from labor, measured in ounces of gold since 1971 has plummeted 77%. This is an astounding statistic and highlights one the of the major problems facing society today. Its becoming increasingly difficult, if not nearly impossible to work and save your way into wealth in the absence of fair and sound money. Speculation and casino finance have replaced the traditional methods of saving and capital formation, two of the most essential pillars of economic growth which lead to increased prosperity throughout society, not isolated to the favored few. Is it just less gold that my salary buys? What else is more expensive? Since the end of the gold standard, the average fiat salary buys less housing, less education, and less health care. Nearly every basic need attributable a comfortable middle class lifestyle has skyrocketed in terms of affordability. Taking housing as an example, the House Price to Income Ratio in 1971 was 3.6 times. This means that the average house price was 3.6 times the average wage. In 2014, the House Price to Income Ratio is 6.5 times, almost double. Looking at it another way, housing affordability measured in fiat currency is almost twice as expensive today as it was in 1971! What’s interesting is when we compare these same ratios in terms of gold. In 1971 the House Price to Gold Ratio was 696 – this means 696 ounces of gold were required to buy the average house in the United States. In 2014, this ratio has actually dropped to 283 ounces. In gold terms, housing has actually become more affordable since 1971. This alone shows the immense value of gold over time – where our labor fails miserably to keep up with the debasement of the currency, gold endures. Gold is one of the few tools over the longer term that workers can use to preserve the purchasing power of their income. It’s becoming increasingly clear that QE is inflating asset bubbles which only a very small section of society actually benefit from. Until the mispricing of labor is resolved we are unlikely to see any sustained recovery anywhere in the world and we will continue to lurch from one financial crisis to another. Public and private debt levels throughout the world as a direct result of these policies are becoming more and more unsustainable. Affordability for average people will continue to deteriorate if not vanish altogether and inequality within society will continue to increase. Gold is one of the few stores of value which has been proven to work throughout the ages. Although prices levels fluctuate on a day to day basis, the general premise of gold is always constant. Manias and misallocation of capital have been a perpetual occurrence throughout history. Always keep this in mind. If you were forced to bury a box for your great grand children to open 100 years from now, what would you place inside? A beany baby? A packet of tulip seeds? A Collateralized Debt Obligation? Or an ounce of gold? Anything, it seems, would be preferable over a fiat pay check.